The Gaedels. Mariners as Rainiers. Piersall Gets Pissed. Thurman & Billy. Rizzo’s first dinger. | ninety feet of perfection. August 19th, 1951. 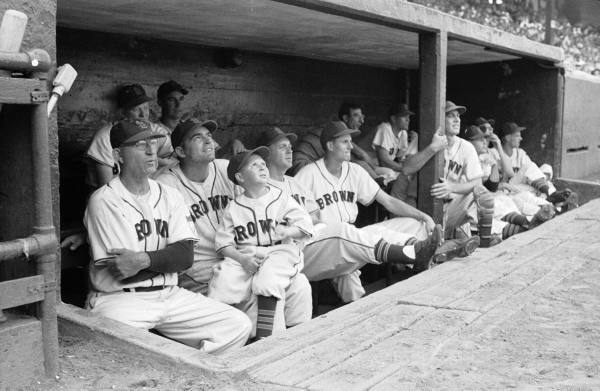 Eddie Gaedel sits on the lap of a St. Louis Brown’s teammate. I had never seen this photo until recently and find it pretty interesting. Back in August of last year I threw up a few photos of Eddie (HERE) and have since found more that I never had seen before. Even though the Eddie Gaedel experiment was nothing more than another one of Bill Veeck’s zany publicity stunts, I have to admit it has always fascinated me in a way. On a related note, The San Diego Padres drafted Kyle Gaedele last week in the 6th round of the 2011 MLB draft. Gaedele is the grand-nephew of Eddie Gaedel. Kyle stands at 6’4, much taller than his 3’7 great-uncle and spells his last name with an “E” at the end. His last name is explained in THIS video and provides some good footage of him playing college ball. May 2nd, 2009. The Seattle Mariners and Oakland Athletics wore throwback uniforms honoring their PCL ancestors. Seattle repped the 1939 Rainiers and Athletics repped 1939 Oaks. The always amazing Ebbets Field Flannels supplied the incredible uniforms and did a great job. I think it’s pretty apparent that Ken Griffey Jr, Carlos Silva, Felix Hernandez, and Erik Bedard all enjoyed wearing these awesome uniforms that day. To check Oakland’s uniform that day, HERE is a great photo of Trevor Cahill. September 10th, 1961. Jimmy Piersall going buck wild on some out of line fans. 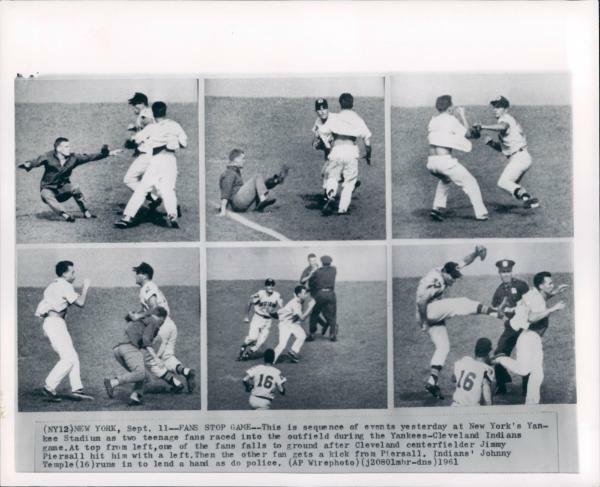 If you look up Piersall and information regarding this incident, you will find a lot of autographed photos of him punching and kicking these idiots. I’m not big on autographs whatsoever but this is something I would be interested in getting signed if I ever met Piersall as it’s just too cool. 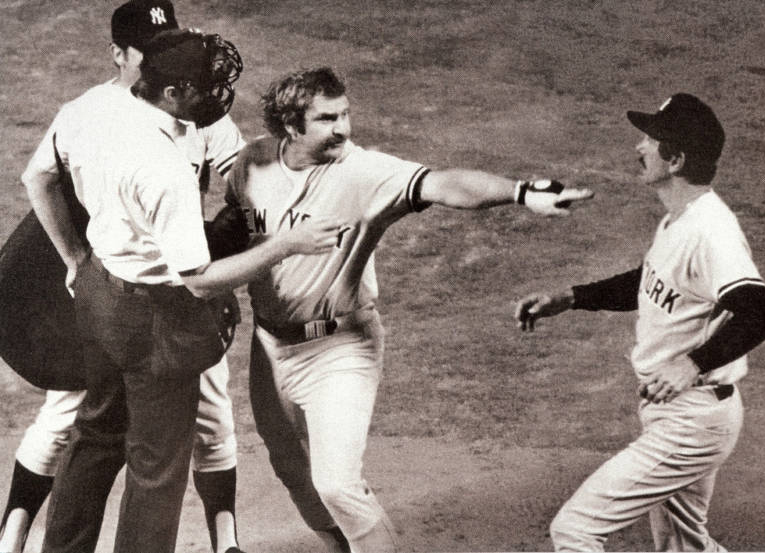 Yankees Captain Thurman Munson and Skipper Billy Martin engage in a confrontation with an Umpire in 1979. I absolutely love everything about this photo and would love to hear the back story on what exactly went down. Thurman pointing at Billy to get back in the dugout to avoid being tossed (I assume) is absolutely priceless. June 11th, 2011. Rookie First Basemen Anthony Rizzo of the San Diego Padres crushes his first career home run against the Washington Nationals. I couldn’t recall the last time I was so excited over a Baseball game after Rizzo hit the solo shot to right field. 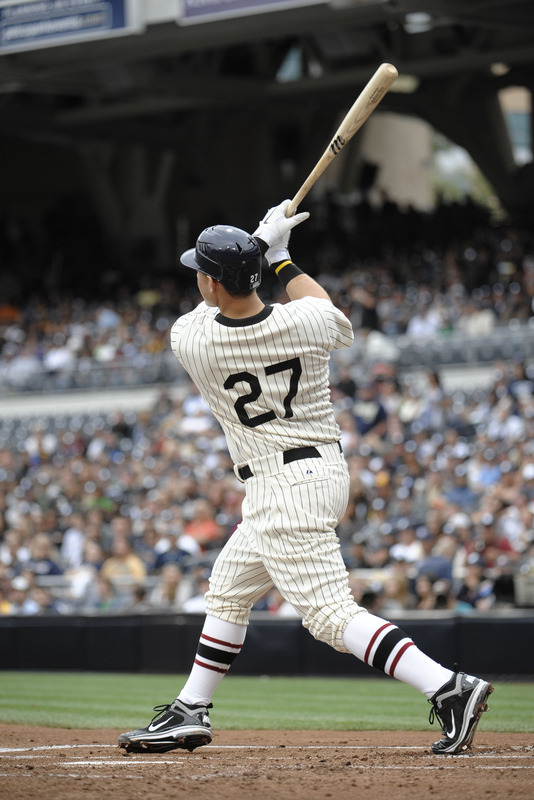 Everything is perfect about this photo: The 1936 Padres throwback uniform, the high socks, the sweet left handed home run swing. So awesome. Oh yeah, this photo prompted me to replace my laptop’s wallpaper with this photo. Goodbye Zooey Deschanel, Hello Anthony Rizzo! ~ by duaneharris19 on June 14, 2011.